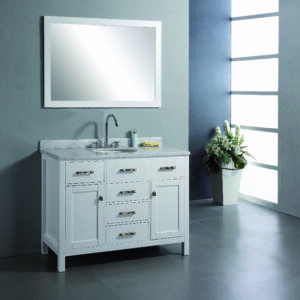 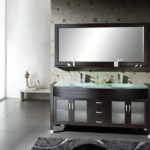 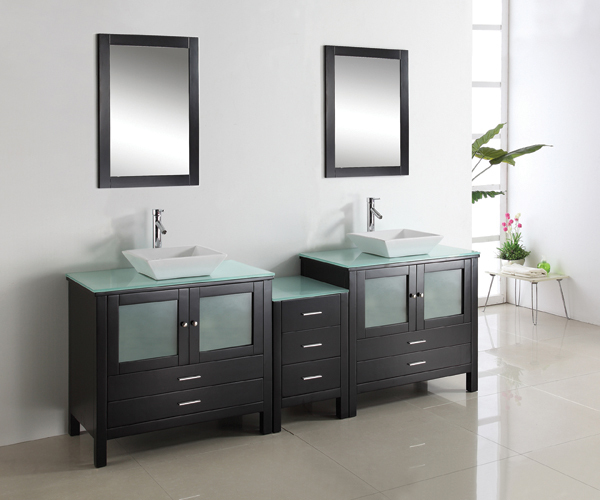 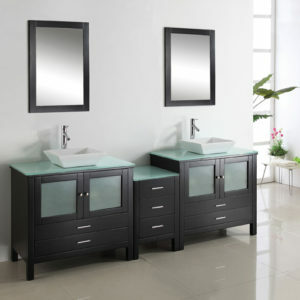 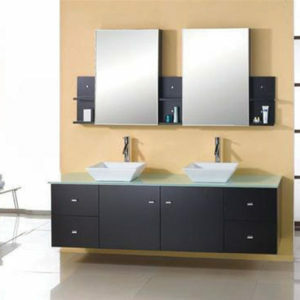 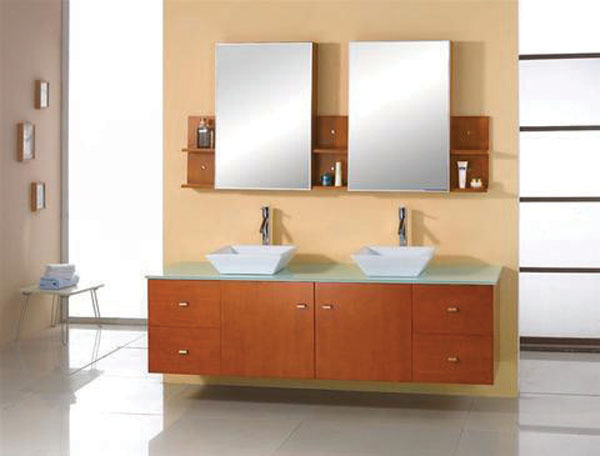 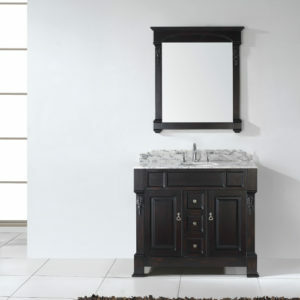 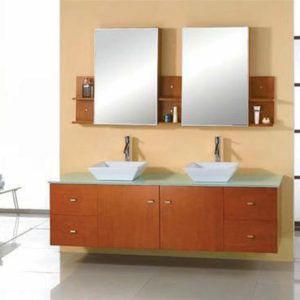 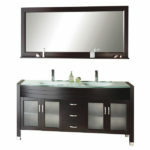 The Ava Contemporary Double Vanity with Glass Inlay Doors offers both modern, clean-lined sophistication and classic warmth. 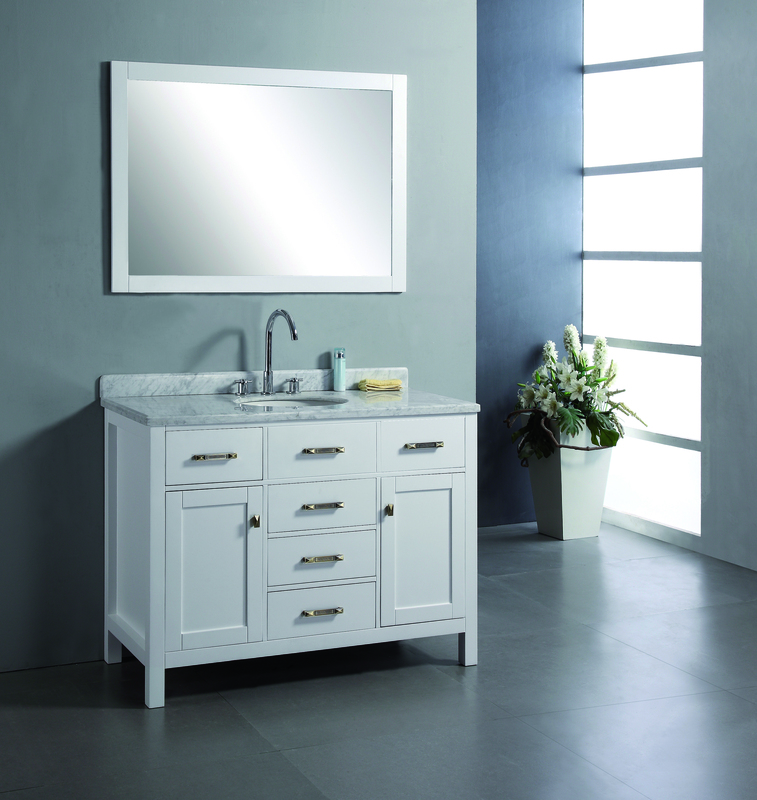 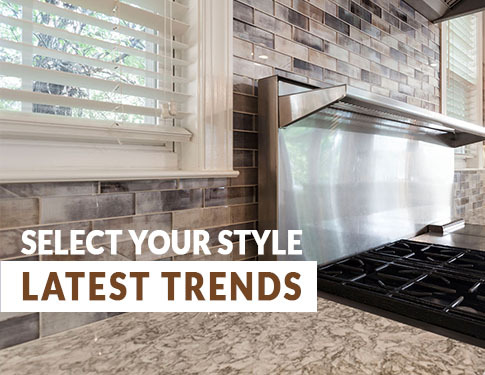 Vanity is made from solid oak wood, Tempered glass inserts add character and beauty to his and her cabinet doors, soft closing hardware so you will never have to hear a door slam again. 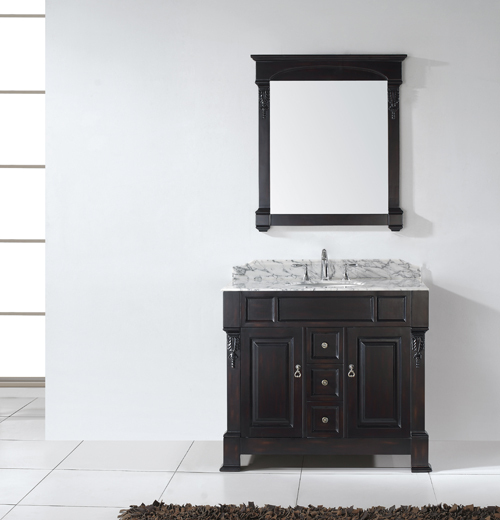 and a rich espresso finish adds dimension. 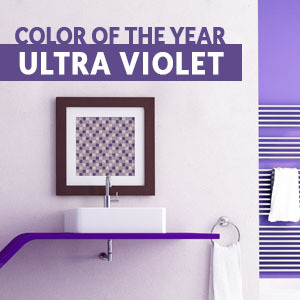 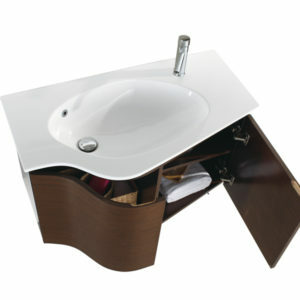 Ideal for any transitional or modern bathrooms. 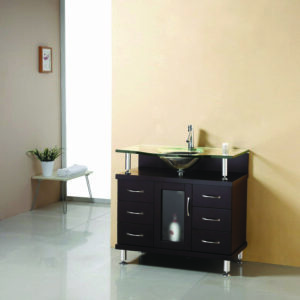 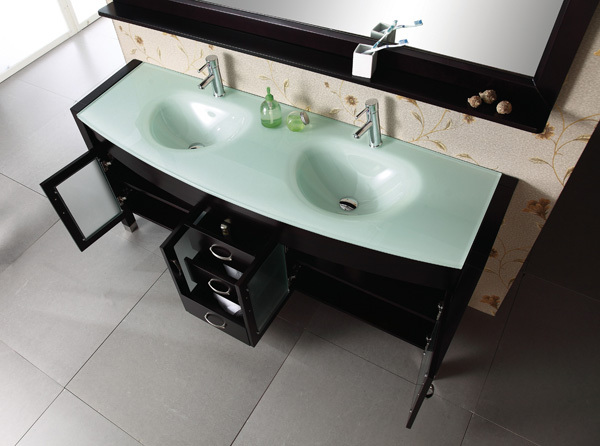 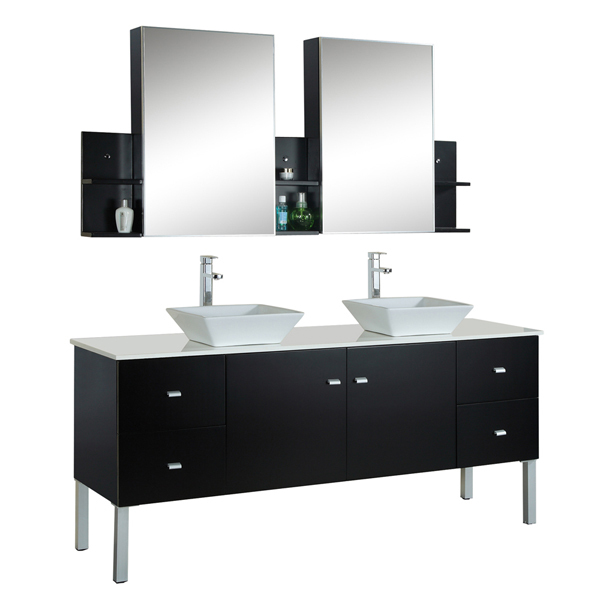 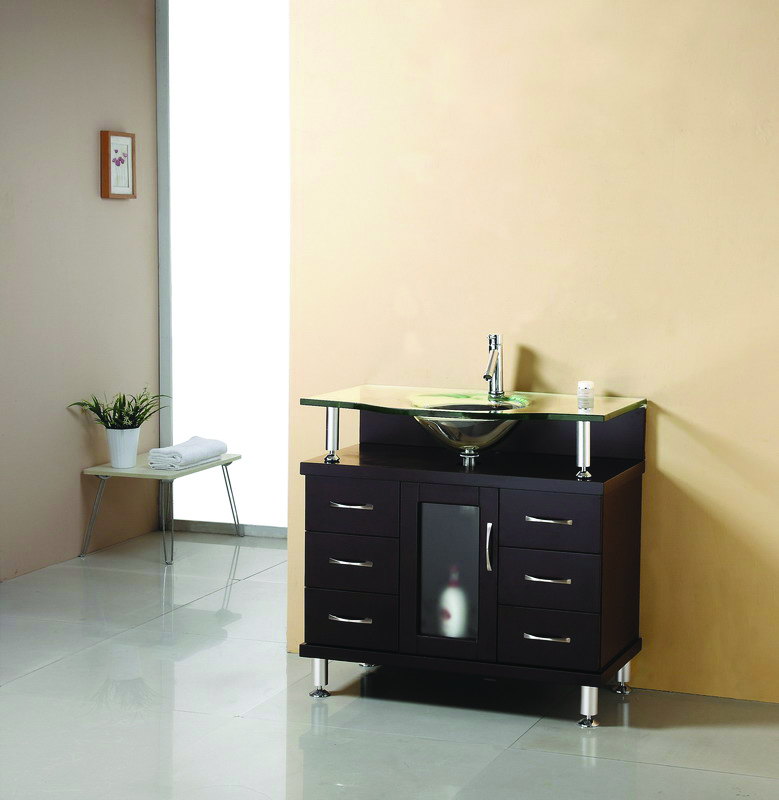 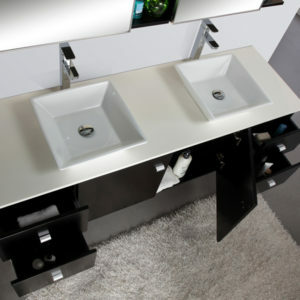 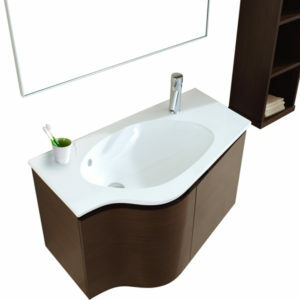 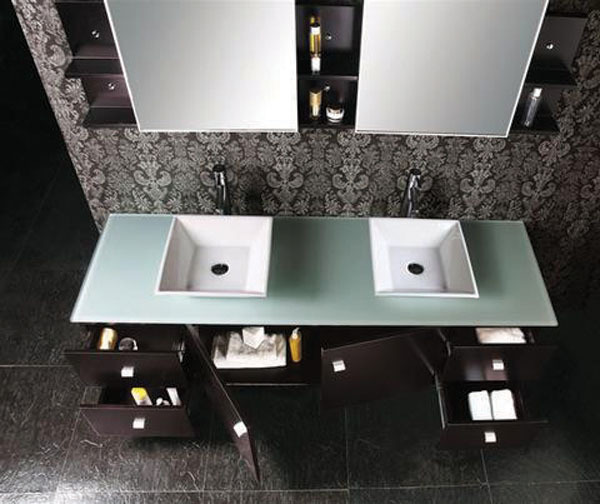 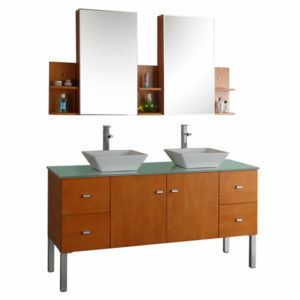 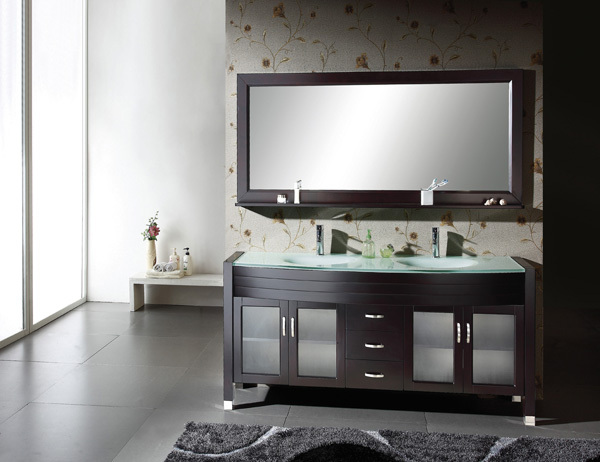 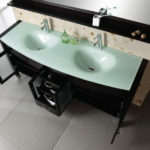 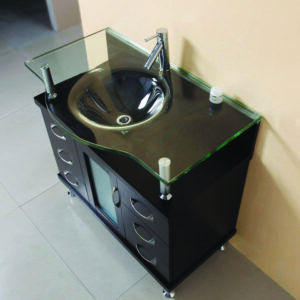 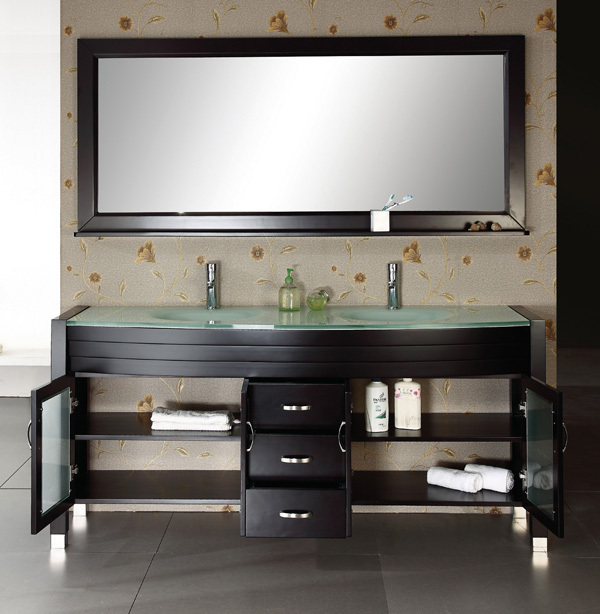 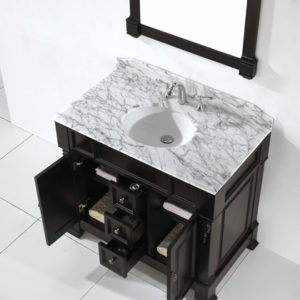 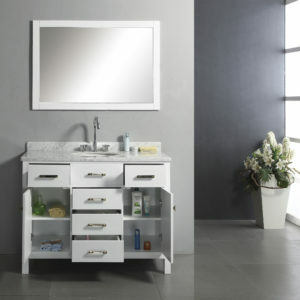 Ava Contemporary Vanity comes complete with matching mirror, chrome faucet with pop-up drain.